Educational Technology Guy: The Future of Libraries - what does it look like? 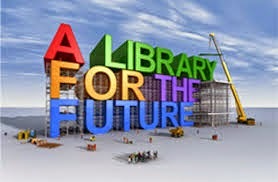 The Future of Libraries - what does it look like? Libraries, like schools, are changing with technology. The typical library full of books will be going away and be replaced with a space for accessing digital resources and getting help finding resources. Many libraries are struggling to change and even attract visitors.